“Legend of the Luna” is out! Contest! 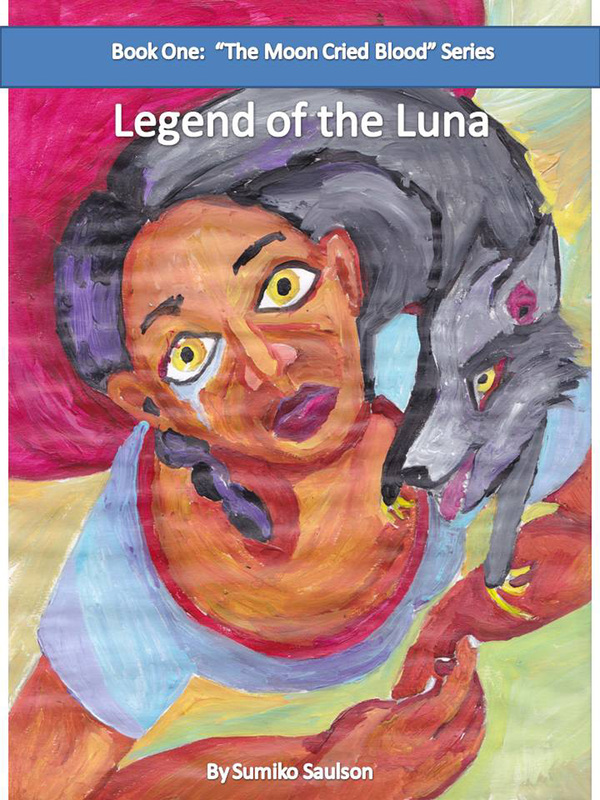 Book One of the serialized tale of The Moon Cried Blood, the Legend of the Luna introduces us to the Lunae, and to the character Leticia Gordon. It is said that the Wolf may howl at the Moon, but the Moon never howls at the Wolf. In the gritty urban streets of Los Angeles in 1975, Leticia Gordon is forced to come to terms with many things: the tragic death of her stepmother and baby sister in a car accident, fear she’ll wind up in foster care, and the sudden revelation she belongs to a long line of powerful witches known as Lunae. Legend of the Luna is the first of a series of eight novellette-length installments in the serialized tale of The Moon Cried Blood. A dark fantasy / horror story in the young adult and urban categories, The Moon Cried Blood tells the tale of the four Luna clans, together known as the Lunae, women imbued with hereditary power by the moon goddess Luna. Each of the four clans possess a different power – the power to see into the future, to visit the past, to detect changes in the unraveling timeline, and to see into the hearts of men. Each novelette will come in at a bit over 15,000 words and be available for 99 cents. It is currently available via Smashwords but will be going into broader distribution over the next six weeks. The series will eventually be available as a set of two paperbacks, each consisting of four of the novelettes and coming in at about 75,000 words. How do you view the moon? What if there was no man in the moon, just a woman? Who would she be? What would she look like? In this contest, you will depict Mother Moon grieving for the loss of her only child by submitting photographs, drawings, poetry or short prose honoring the following events in the beginning of the story. They do NOT have to be original work, you MAY post a link to your favorite song about the moon, for example, or to a traditional painting that you feel honors the moon and shows the moon personified. If the moon was crying, would you play her a ballad? What would that ballad be? 2) If you have not done so already, like the page. 3) Under the Legend of the Luna Contest post, which will be pinned to the top of the page, add your photo, song, video, painting or poem link to the comments below. 4) The comment or photo that gets the most “likes” wins the Grand Prize. Entries will be accepted through April 15, 2014. Winners announced April 16, 2014. 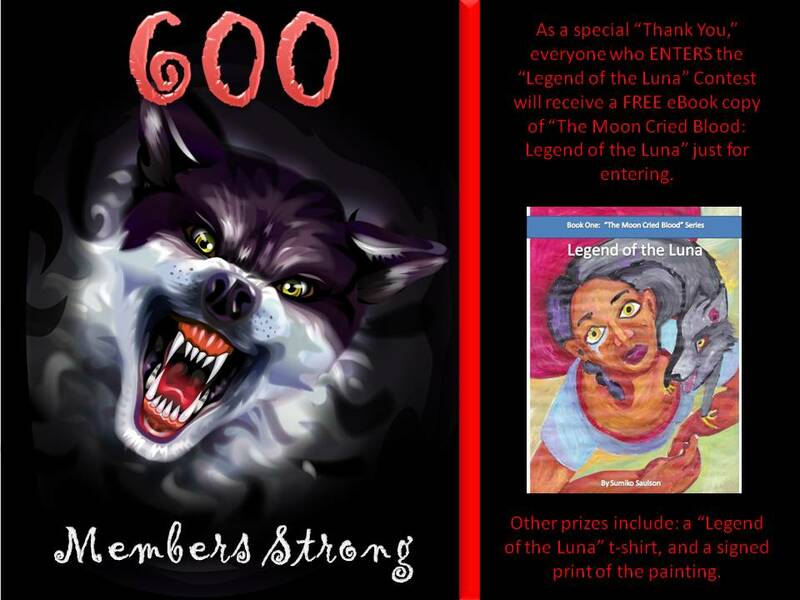 Entry Prize: Everyone will receive a free eBook of “Legend of the Luna” JUST FOR ENTERING THE CONTEST. ~ by Sumiko Saulson on March 17, 2014.